Duraline Test Cable is the high performance , cost-effective and durable test cable assemblies designed for a broad range of test and interconnect applications. Duraline test cable use the silver-plated copper clad steel as center conductor, solid PTFE as dielectric, and anti-twist SPC flat braid as outer conduct. Duraline cables can provide long life and stability in the applications where they are repeatedly flexed and mated/unmated. With the taped covering and the silver-plated ribbon braid, the Duraline cable can offer the better shielding effectiveness and more stable. 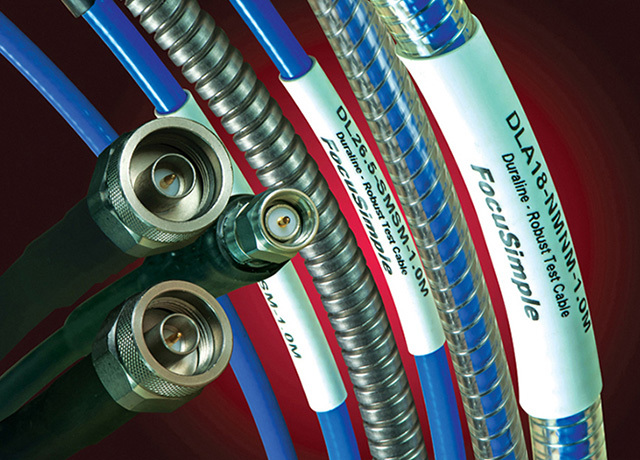 Focusimple uses the industry’s most advanced design for the connectors of the test cable. The precise type N connector combines BeCu center conductor with gold plating, stainless steel shell and high-strength PEI as the dielectric material. The PEI insulator is 100 times of strong than the PTFE insulator, which can make the test cable more stable and more durable after long-term use.